If you don’t care about your readers, then you can let your blog grow willy-nilly, without organization. But that’s not you, is it? Like most bloggers, you want to encourage people to click around on your blog and read more of what you have written, don’t you? Then you need a clear, logical set of categories and tags that will guide your readers to the blog posts they are most likely to enjoy. Categories = the major areas of interest on your blog. Your categories are a short list of the major types of articles you write. As our small blogs grow, categories are the first type of organization we add. You can see my post categories near the top of my left sidebar. Most of my posts will fall into the Blogging Tips or Class Notes categories, but I occasionally write about a scattering of other topics, and I have added a Miscellaneous category to catch things (like this Christmas post) that don’t fit anywhere else. That way, none of my posts are left as Uncategorized orphans. Ideally, each post will belong to just one category. In real life, there is often a bit of overlap — this post, for instance, is filed under Class Notes and also under Blogging Tips. If you look at the categories on Kitten’s blog, you will see something interesting: parent and child categories. A “parent” is the main category, such as Stories, and the “child” is the subcategory, like My winter wonderland. Tags = more specific, detailed topics you write about. A post (especially a long one) may have many tags. So far, I have not added tags to this blog, but you can see tags in action on my math blog. There, my readers need additional help in navigating the huge number of posts, so I have both categories and tags to help people find what they are looking for. Set your time zone city as Chicago. Decide on a list of 3 or more categories that summarize the types of posts you write. From your Dashboard, click Posts > Categories and enter the ones you have chosen. 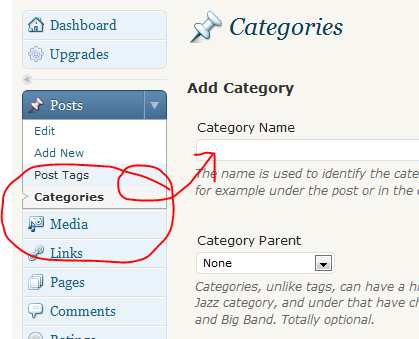 Then go to your Posts page and use Quick Edit to un-check “Uncategorized” and assign a category to each post. Try not to leave any orphans! Add a categories widget to your sidebar, to help readers find your posts. Read your classmates’ blogs and leave comments. Write a new blog post, or at least start a new draft. 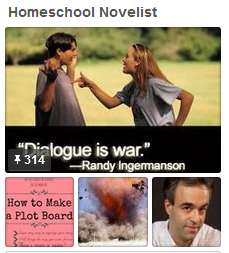 Look for some other kids’ blogs to comment on. 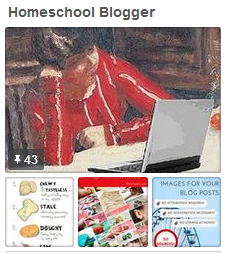 You might start by looking at the back-issues of the Homeschool Kids Blog Carnival. This entry was posted on Thursday, March 18th, 2010 at 6:08 am	and posted in Class Notes, Intermediate. You can follow any responses to this entry through the RSS 2.0 feed. « Did You Spring Ahead?